Hi, I won "New Year's Eve Passport" of Tokyo Disneyland!! Tokyo Disneyland and Tokyo DisneySea hold special year-end and new year events, every year. But this special events need the special ticket, New Year's Eve Passport. Disney Hotel guests and Official Hotel guests can buy on check-in, but normal guests need to win the lottery! As it is highly competitive, I never won it before. I am really lucky this year. It was the winner announcement date today. I was impatient from the morning, but I couldn't have enough time to check my e-mail account. 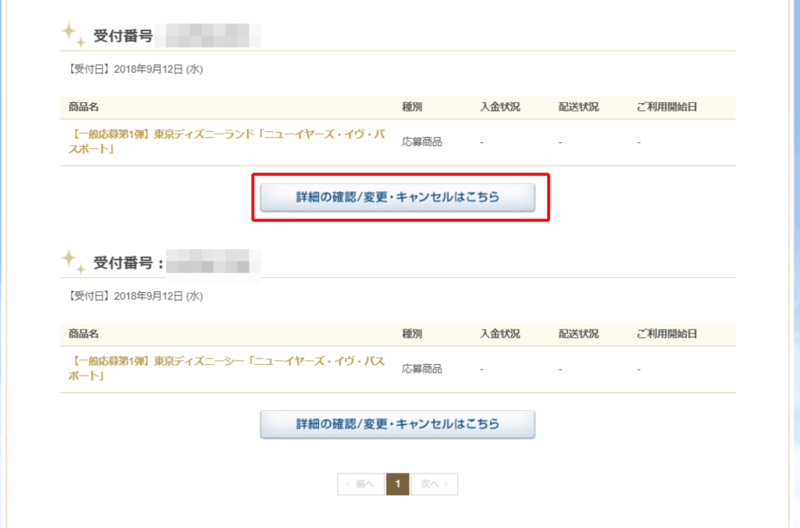 When I opened my application history on web site, I found the announcement that I won the tickets!! 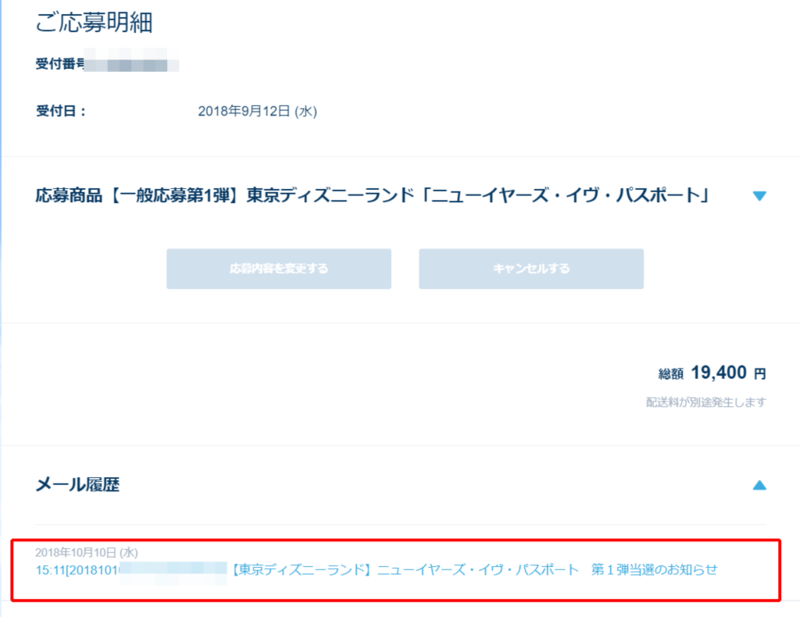 I immediately paid the fee today from URL in the e-mail. Also I could buy one day or two days unlimited tickets of Disney Resort Line. 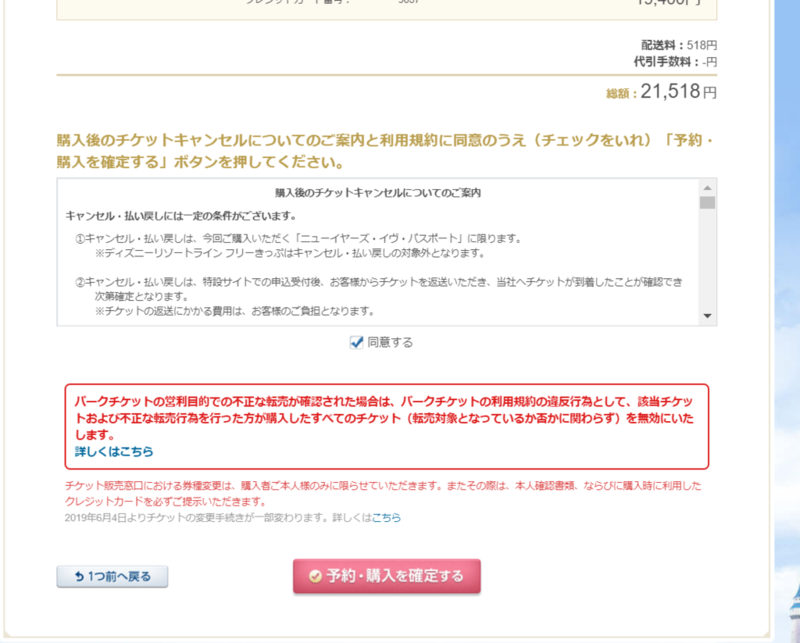 Once I entered credit card information, I found warnings for resale. It is prohibited, please do not buy from resellers. Anyway, I am so excited for the count down event! I will start to plan our schedule soon with M-chan, my friend. To blogs of the same category. うさたまを探せ！@TDL / Search for Usatama! うさたま大脱走！@TDL / Usatama on the Run! Hi. I am Nekotaro, a company employee, living in Tokyo. I tried to complete all Disney Parks all over the world from summer,2017 to February,2018. 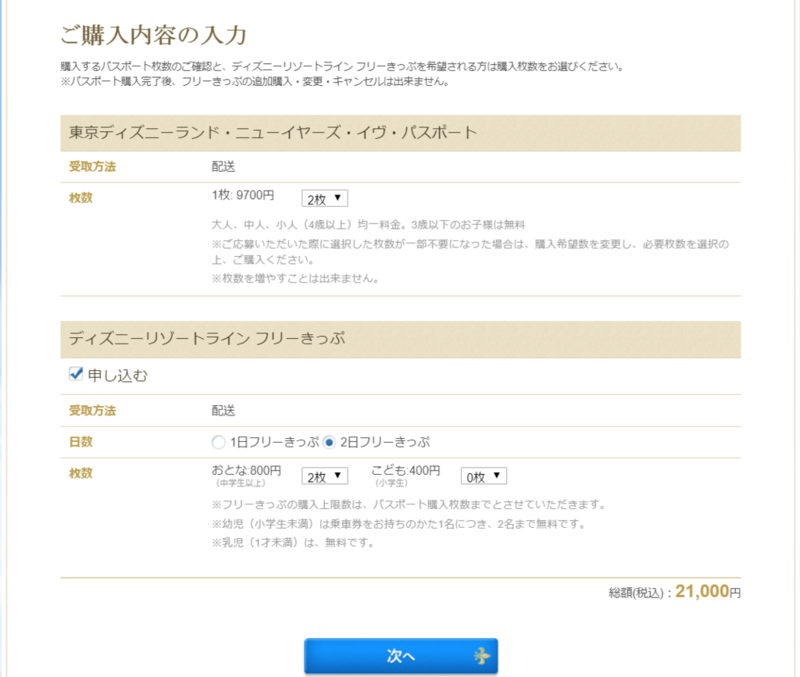 Now I am trying to visit frequently to Tokyo Disney Resort with Annual Pass.